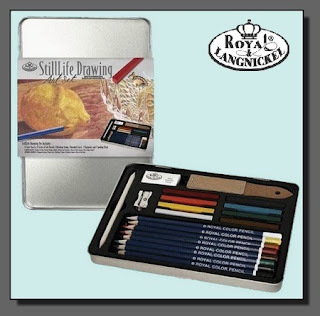 Royal & Langnickel just came out with a new line of artist drawing sets. Five of the sets, three tins and two boxs, have my artwork featured on the covers.Most artists know Royal via their brushes. They produce all ranges of brushes from student grade through professional. These new drawing sets fall into the student grade category. And I’m also finding them to be quite nice for my own sketching. Royal & Langnickel are dedicated to producing art materials for aspiring young artists. And I’m tickled pink that they’ve asked me to be a part of it. Congrats Dee! That’s quite an honor, and they look beautiful. Your illustrations are a perfect fit for them. Hey ladies, thank you so much for your comments. Thanks for stopping by. I so need to get my act together and get back to regular posting. I’ll come visit!